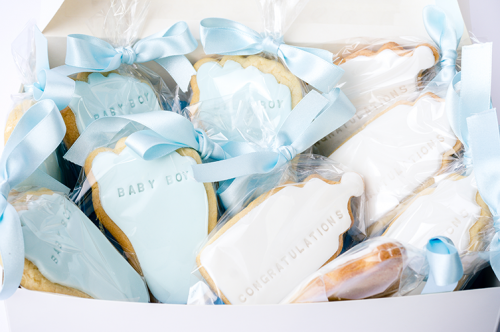 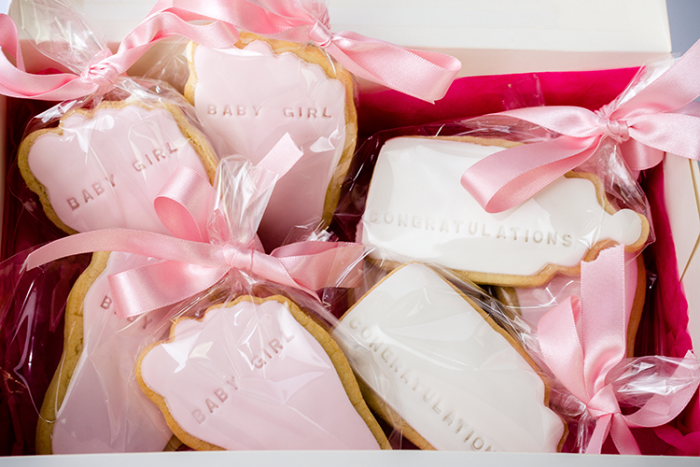 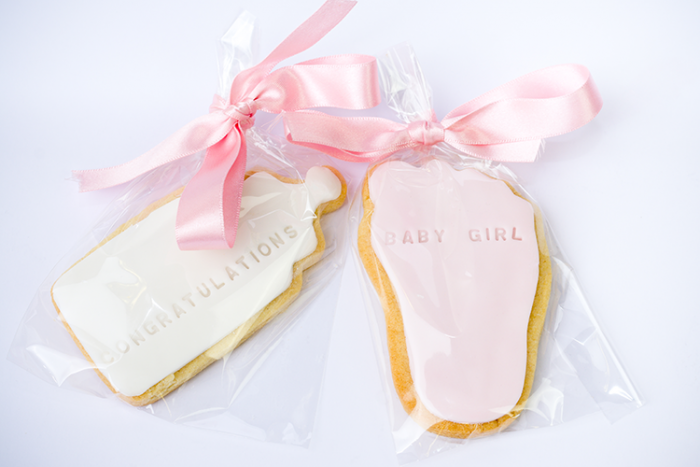 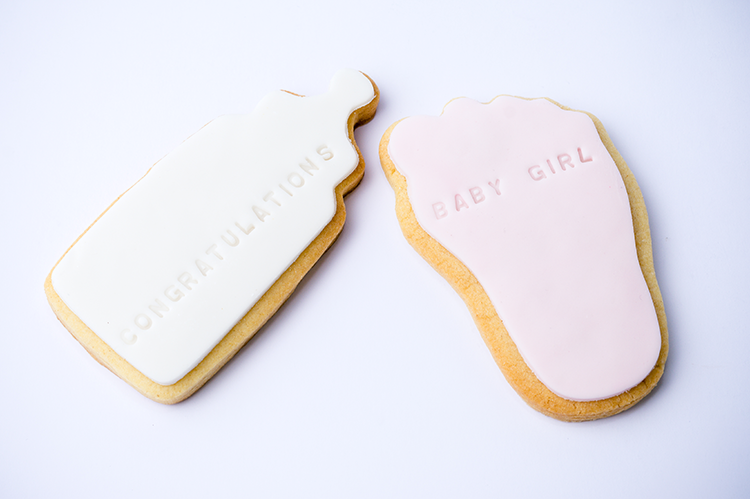 These cookies are lovely for sharing at a baby shower or a congratulations party, the handmade cookies also make the perfect gift for new parents. 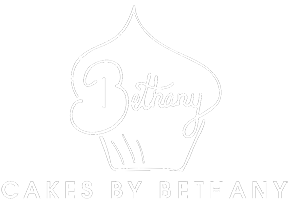 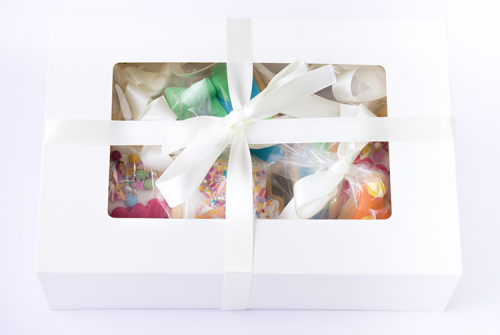 The box is lined with matching tissue paper and each cookie is individually wrapped and finished with a hand tied ribbon bow. 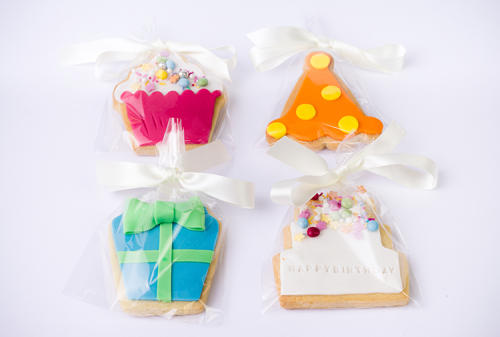 Each box contains 10 cookies.